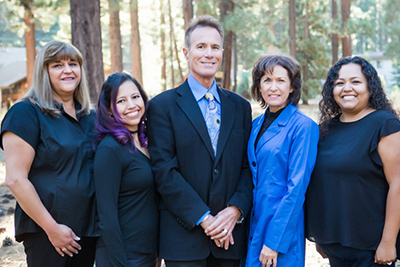 Root Canal Therapy – Tahoe Family Dentists - Providing excellence in dentistry in South Lake Tahoe. Modern dentistry allows for root canal therapy, which can save a tooth that would otherwise simply be extracted! In the past, teeth with diseased nerves usually ended up being extracted. Modern dentistry allows for a procedure called the root canal, which can save your tooth! 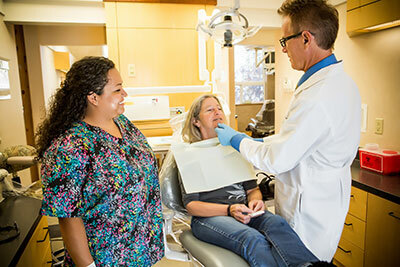 At our dental office in South Lake Tahoe, we do hundreds of root canals every year, saving teeth and giving patient additional years of happy smiles. When a tooth is cracked, traumatized or has a deep cavity, bacteria can enter the pulp tissue causing an infection inside the tooth – which, if left untreated, can lead to the formation of an abscess. Extreme pain and swelling can result, and the reaction may be to ask for an extraction. A root canal, however, can save the tooth. Root canals are a relatively simple procedure designed to seal the diseased or damaged root of your tooth with a sterile material and covering the top of the tooth with a crown. When a tooth experiences pain, sensitivity to pressure, cold, or heat, or there is swelling around a tooth or infection is evident, many people think and extraction is the only solution. A root canal is the better alternative. 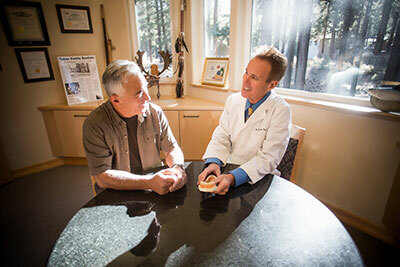 Root canal treatment requires one to three visits to our South Lake Tahoe dental office. During treatment, your dentist will remove the infected root pulp, the inside of the tooth is disinfected, and filled with a sterile material that takes the place of the pulp and prevents more bacteria from entering the tooth root. A tooth may require between one and four root treatments depending anatomic complexity or the extent of infection. After the sealing material is used to fill the tooth root(s), a crown is placed to restore the chewing surface and the root canal is complete. Your restored tooth can last for years longer, and your smile will remain complete.